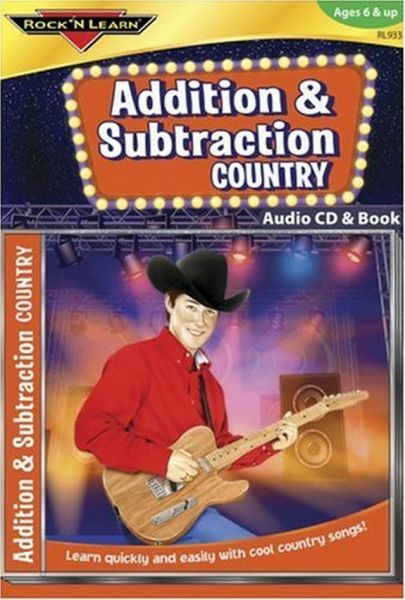 earning addition and subtraction facts is easy with these country songs. Students develop quick, accurate recall for facts with sums and differences through 18. Facts are presented in random order with delayed answers so that students can check their progress. Comes with reproducible activity book. earning addition and subtraction facts is easy with these country songs. Students develop quick, accurate recall for facts with sums and differences through 18. Facts are presented in random order with delayed answers so that students can check their progress. Comes with reproducible activity book. Approx. 30 min. Ages 6 & up.